This is a pretty, big bodied, dark buckskin by a NRHA money earning son of NU CHEX TO CASH. 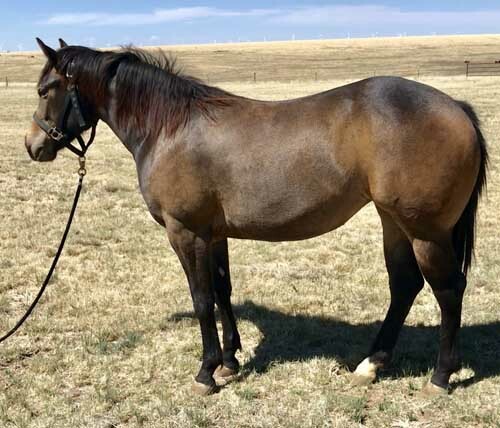 She is out of a daughter of AQHA earner of 351 performance pts/ 27.5 halter pts, AQHA Open champion, and NRHA multiple titles RAWHIDES SLVR BULLET. She is gentle and willing to please, and would be an asset as a performer or broodmare program. 5 panel N/N. HPRBA Futurity Eligible.